Cutting capacity - Cutting capacity encompasses both the depth of the cut and the so-called “throat” and is the first thing to consider when buying a band saw. The depth is the vertical distance between the upper blade guide and the table surface. While the throat is an industry term for the horizontal width of the finished product. For instance, if there is 12” between the blade and the column then the throat is 12” max. 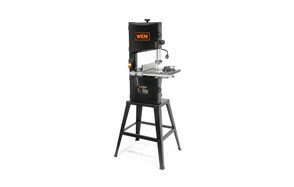 In most cases a freestanding band saw will allow for greater depth and a wider throat than a portable or tabletop bandsaw. You need to keep in mind what type of material you want to cut and its typical dimensions in order to purchase a band saw with the right cutting capacity. Power - Once you know the cutting capacity you’ll need to consider the power of the motor. 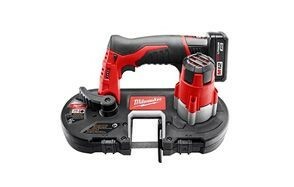 Some portable and benchtop band saws (particularly those that are battery powered) produce only a moderate amount of power. If you need the saw for intensive applications you’ll want a plugin saw that can provide anywhere from 2.5 to 10 amps. If you intend to use the saw on a variety of materials you’ll also want to make sure yours has a variable speed motor. 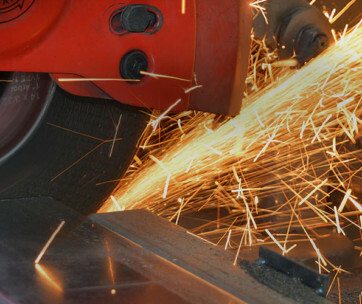 Safety features - Even a small bandsaw is capable of producing life-altering injuries so safety is always of paramount importance when dealing with this type of equipment. As such you’ll want a band saw that incorporates a number of safety features including a tension controller that sets the tension of the blade itself, a pulley wheel brake and a dust collector that will remove harmful particles from the air. That is particularly important when using the band saw to cut metal items. Extras - If you’re involved in any sort of woodworking with your saw you’ll want to invest in rip fences. These allow you to generate very precise rip cuts regardless of the material. You should also consider a miter gauge which will ensure your angled cuts are accurate and clean. Versatility - If you have a band saw with a variable speed motor you’ll be able to cut an astonishing variety of material including all types of wood, plastic, metal and more. 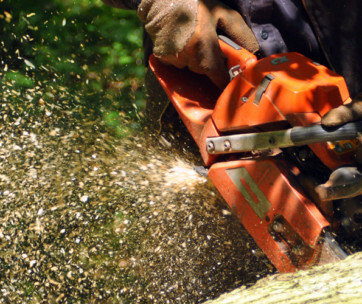 Volume - If you deal with high volumes of wood or metal that need to be cut there is no substitute for a band saw. They are the ultimate productivity tool in such cases. Cut quality - Because the action of the blade is even and continuous the quality of the cut you’re able to obtain is much better than anything you’d be able to achieve with a standard saw or even with a hand-held circular saw. Less waste - Because the motion of the blade is so steady and smooth and because the band saw blade is typically thinner than other types of blades, there is less material waste. Energy efficiency - The band saw goes about its business in an extremely efficient fashion. While it might seem like it’s consuming lots of power you would actually use far more trying to execute the same cuts using a hand-held circular saw. Wood band saw - Wood band saws, like most of the saws on our list, are considered by many to be the most important power tool a woodworker can own. 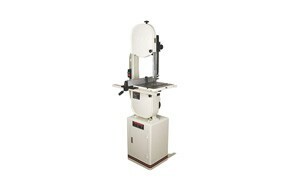 Metal band saw - Some band saws are designed specifically for cutting metal. These typically have ways of keeping the blade cool as it cuts and brushes that keep the blade free of metal chips. Meat band saw - If you are contemplating a career as a butcher you’re going to need a good meat band saw to section carcasses. Vertical band saw - Versatile, easy to use and capable of creating precise cuts in high volume it’s a mainstay of the timber and flooring industries. Vertical band saws remain stationary while the material is fed through them. Horizontal Band Saw - With the horizontal band saw the cutting blade is brought down onto the material to be cut. In that sense, it’s reminiscent of a table saw. Although you’re likely to get a cleaner cut. Portable bandsaw - The portable bandsaw is for those who need to bring the cutting power with them to the site. Always maintain focus - Do not allow environmental distractions like music, other people, TV or job site noise to divert your attention away from the job at hand. Keep all safety guards in place at all times - The safety guards that come with the band saw are there for a reason. Do not remove them or alter them in any way. Feed with care - Do not feed material into the saw in a careless or haphazard fashion. If using a portable band saw make sure all materials to be cut are held firm before applying the blade. Turn it off - As soon as the cut is complete turn the saw off immediately. Never walk away with the saw still running. Keep the work area clean - In order to prevent accidents, it is important to always maintain a clean work area. Remove all unnecessary objects from the area and make sure the floor is clean and clear. 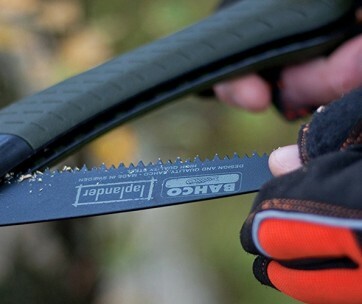 Keep hands clear - Never hold the material in a way that could potentially bring your hand into contact with the blade. Always hold the material at the sides, well away from the blade. Wear goggles - Band saws send large amounts of wood and metal chips flying off into the air, often at great speed. It’s imperative that you wear goggles to protect your eyes. Avoid loose clothing - You should never wear loose fitting clothes when working with a band saw. Such items can easily be snagged by the blade exposing you to extreme danger. Keep a first aid kit handy - Always have a well-stocked first aid kit within easy reach of the work area. Also, learn the proper ways of treating serious cuts. It could save a limb or perhaps even your life.